Are you worried that in this digital age, your child isn’t reading enough? Or, is your little one eager to read, but you’re not sure of which books to give them? Whatever the case may be, books are right up my alley and I’d like to help. Choosing age-appropriate books is just as important as choosing age-appropriate toys. Here’s what you need to know before you buy books for your 9-year-old. What Should Your 9-Year-Old Be Reading? Kids are losing interest in basic literacy. A British study states that a shocking 94 percent of teachers claim their students prefer online activities to reading (source). Reading develops language, comprehension, critical cognitive skills, and communication. It enables our imagination and emotional awareness. Books are educational and can even develop your child’s motor skills (source). 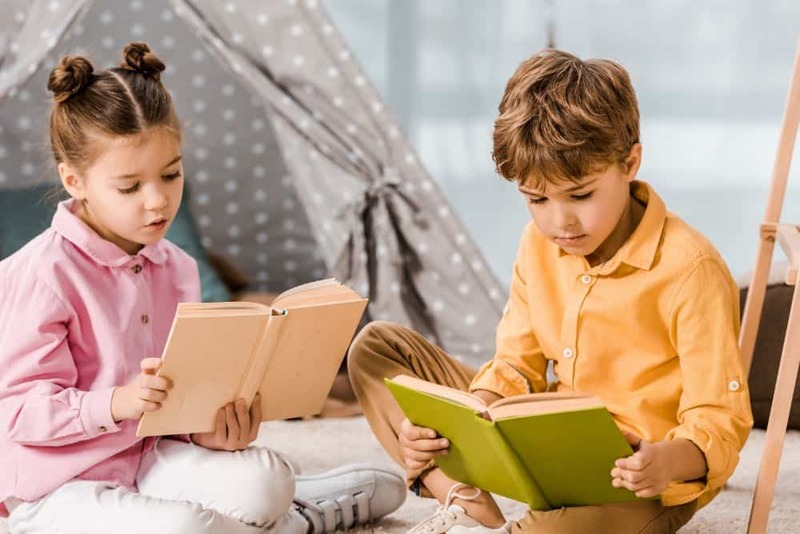 Reading also significantly improves your child’s academic performance and makes a greater impact on their studies than any other factor (source). Reading is a developmental process, so there are milestones that go alongside it. Short novels: 9-year-olds comprehend stories that lack pictures, and that are more detailed in plot. Silently: Your child should be able to grasp words without reading out loud. Analytically: They should understand that not everything they read can be interpreted literally, and should seek deeper meanings in their stories. Comprehensively: Your child should be able to recall, summarize and retell what they’ve read, in their own words and by their own understanding of it. They should also have a full understanding of story elements like location, time, conflict, and resolution (source). References: They should be able to use dictionaries and other references when they encounter words or concepts that they don’t understand. This age group should now be able to read fluently, and finding books for them can be challenging. I’ve narrowed it down for you — here are my top picks of the best books for 9-year-olds. There are few things 9-year-olds enjoy more than impressing adults with cool facts and their knowledge of the world. They’re also at an age where their curiosity is fully fledged and learning is cool. This book of more than a thousand answers (about everything from the ocean to why your snot looks the way it does) is bound to tickle their fancy. It also has top ten lists, fun facts, biographies, and activities. Your child won’t be bored by it, and neither will you. These beautifully illustrated books are a must-have for 9-year-old girls. 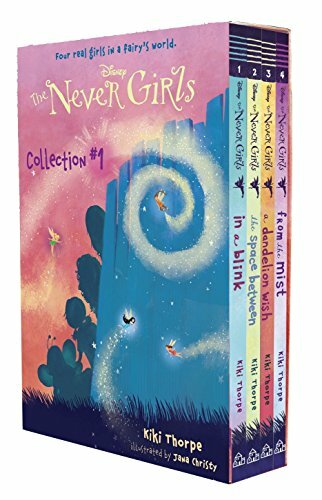 It follows four best friends whose wish comes true: to meet Tinkerbell and her fairy friends in Never Land. Kiki Thorpe has written a lovable story that will stay with your little girl forever. 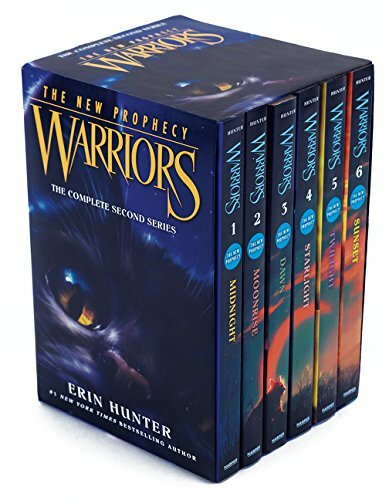 The box set includes the first four books in the series. If your daughter wants more, there are 12 to collect. I can guarantee that if you treat your 9-year-old boy as though he’s a man, his confidence will skyrocket and he’ll become too cool for school. 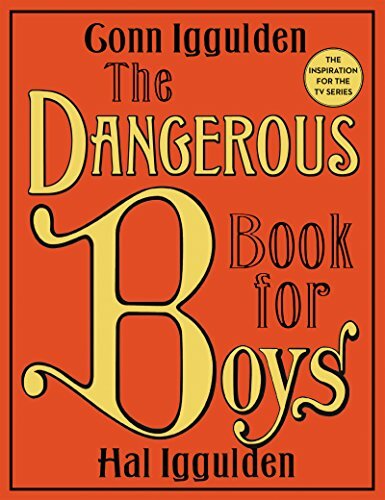 This handy book that passes down boyish life skills might become his most prized possession. It’s a bestseller, boasting more than a million copies sold. Its pages teach several cool things, like how to build a treehouse, fishing, how to find true north, and even why girls are special. 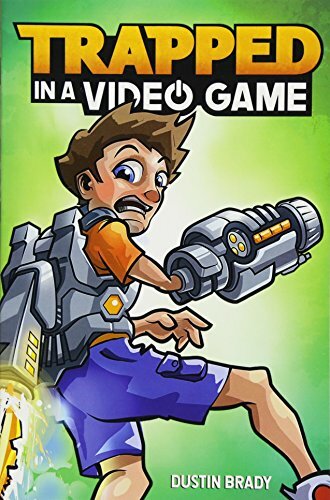 This book appeals to all kids who love technology and video games (which is all of them, right?). It follows Jesse Rigby, a 12-year-old who gets sucked into — and stuck inside — a video game with his best friend. Realizing that they’re trapped inside the game, they must escape a mysterious character that’s following them. The two friends need to find a way out, lest they stay in the game forever. This book is an exciting adventure story that is relevant to this era. It even includes bonus content that teaches coding through gaming. No children’s book list would be complete without Harry Potter. This magical series inspired an entire generation of children to read. In case you don’t know, Harry Potter and the Sorcerer’s Stone tells the story of an 11-year-old orphan boy who learns he’s a wizard. He’s whisked away to a hidden world of magic, where he’s a living legend due to his tragic past. With his friends, he must solve a mystery within the walls of his new school. 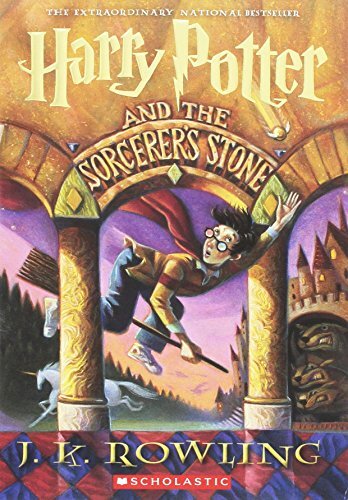 The Harry Potter series grows a little darker with every book, but this one is charming, innocent and ideal for 9-year-olds who want to explore magical worlds. This book is not only well written, it’s beautifully designed too. Diversity in books is all the rage now (finally), and this fantasy is interwoven with Chinese folklore. 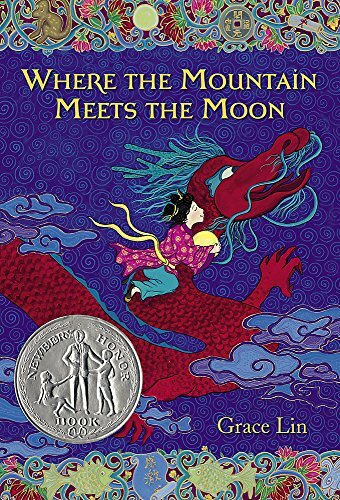 It tells the story of Minli, who resolves to find the Old Man on the Moon in a quest to change her family’s fortune. On her way, she meets a dragon who accompanies her on her mission. It’s a warm-hearted tale of friendship, imagination, and determination, and probably different from anything your kids have read before. 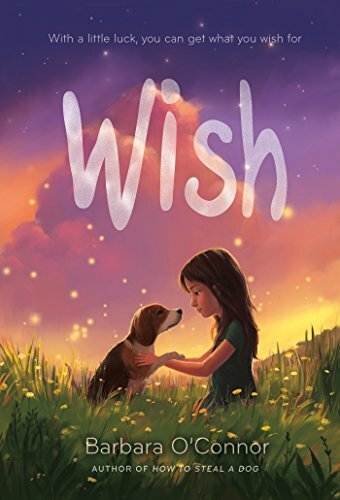 Wish is a powerful story that may cause a few shed tears, but don’t let that put you off. Stories like this are important. They bring your child’s sense of compassion and emotional awareness to the forefront. Charlie is a little girl who comes from a broken home. She expends almost all her energy wishing for the one thing she wants most in the world. One day she befriends a stray dog and the boy next door. She soon learns that what she wants and what she needs are two different things. It’s a heart-warming, touching, and bittersweet book that gives us an inside look into lives that are different to ours. When I was a kid I adored first-person stories. I’ll eat my socks if your 9-year-old doesn’t love this one. Meet Chase Cooper, a 6th grader who also happens to be a ninja. 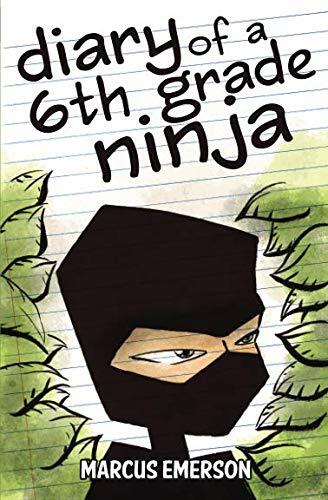 He chronicles his adventures as a warning to other kids not to become ninjas. But before he can save the world, he has to survive his first day at a new school. What’s not to love? This story is the ideal blend between old tropes and modern spins. It’s a highly entertaining read. Sometimes all kids need is a little silliness, and Dr. Seuss is a real classic that people of all ages can enjoy. His one-of-a-kind stories are entertaining and often teach an underlying lesson. 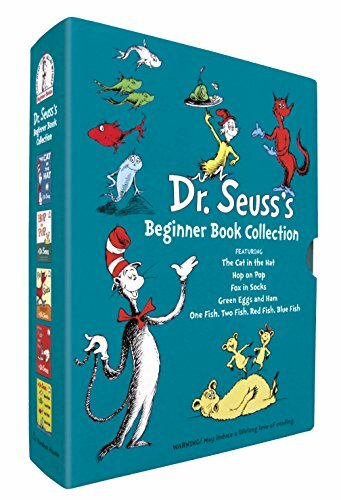 This collection includes the favorites, Cat in the Hat, One Fish Two Fish, and Green Eggs and Ham. It also has two others: Hop on Pop and Fox in Socks. No one ever truly grows out of Dr. Seuss. This collection will last a lifetime. In stark contrast to the silliness of Dr. Seuss, is this serious (but sweet) story. 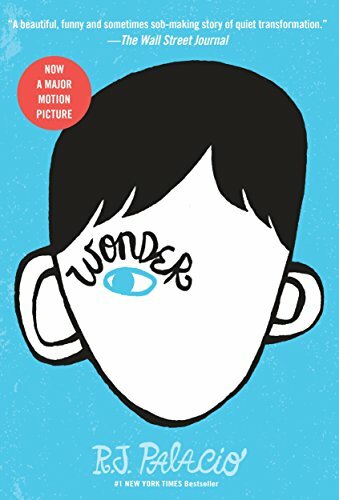 With over 6 million copies sold and a number one spot on the New York Times Best Sellers list, Wonder has inspired many humans to be better people. It’s the story of Auggie, a boy with Treacher Collins syndrome, who tries his best to fit in. Before long, his family and classmates come to see him in a different light. It’s definitely a book that warms the soul. It wins points for diversity, and shows different perspectives. Though it’s not a difficult read, it shouldn’t be a starter book and is best for more advanced readers. I had to include this 6-book set because my 9-year-old nephew specifically requested them. As a beginner bookworm, he read one, and desperately wants the rest. I think that says enough. It’s a simple fantasy in which twins Alex and Connor are pulled into a magical world, where all the mystical creatures and happenings they’ve read about are real. It’s reminiscent of the Neverending Story, the Pagemaster, and even the Chronicles of Narnia. I have vivid memories of delving into this series when I was 9 years old. It might be old, but it’s timeless. 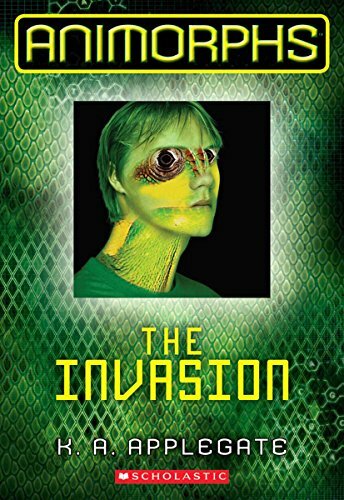 I can’t think of many series that are as fun and intriguing as Animorphs. Book one (of a whopping 53 stories) introduces you to Jake; a young boy who — along with his friends — is granted the power to shapeshift after an alien crash lands on Earth. The suspenseful plot is filled to the brim with mystery, action, and adventure. The characters are loveable and the story will easily spark your child’s imagination. You might know Rick Riordan from his best-selling series, Percy Jackson and the Heroes of Olympus. Although he didn’t write this book, he published it. If it’s good enough for him, it’s good enough for me. Yoon Ha Lee tells us about Min, a young girl descended from fox spirits. By her mother’s orders, she’s not allowed to use her magic and must make an effort to blend in. After her older brother disappears in search of a mystical object that holds immense power, Min embarks on a quest to find him. On her way she meets colorful characters and unlocks her own strength. Katherine Applegate (author of Animorphs) has been a staple in children’s fiction for decades. 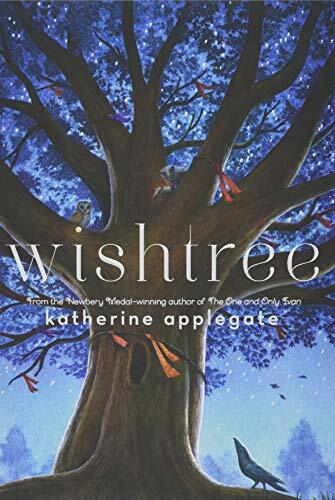 Wishtree doesn’t disappoint and may be exactly what your child wants. The story is told from the perspective of a 200-year-old oak tree, Red, who only wants the best for his neighborhood. People use Red as a wishtree, you see, so he takes their dreams seriously. Although this book isn’t long, it’s tone is much more serious than many other children’s books. It’s a good place to start if your child is ready for thought-provoking narratives. Who doesn’t enjoy a good story about dragons? 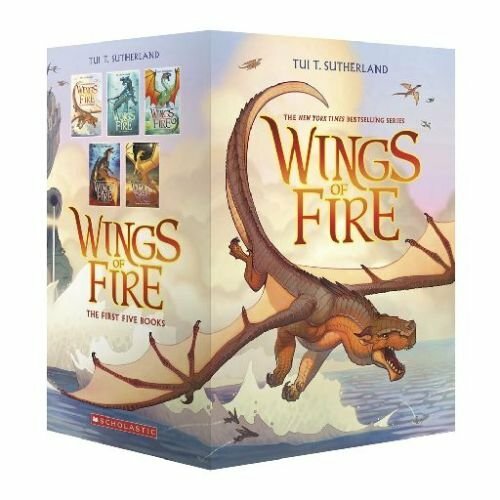 This series will place you right in the middle of a war that has raged between two dragon tribes for years. 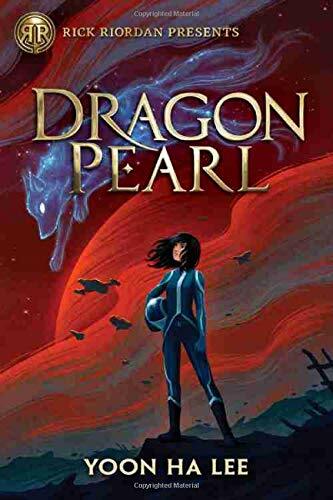 When five of the dragons learn they’re the subjects of a prophecy — and destined to end the war — they must make a choice. Freedom or heroism? Flight or fight? 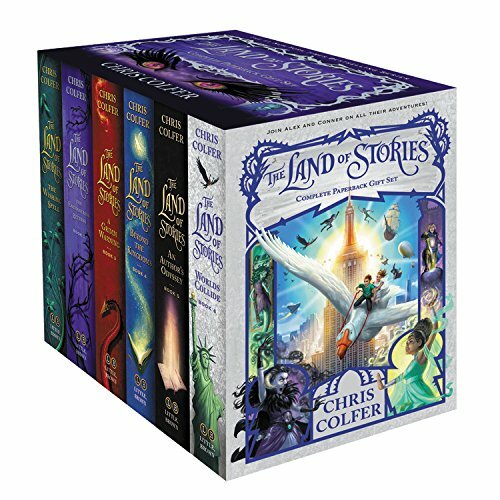 If your child’s interested in fantasy, this is an excellent starter series. It has that classic fantasy feel, and has all the beloved tropes. A word of warning: a few parents complain about the advanced vocabulary and violence. 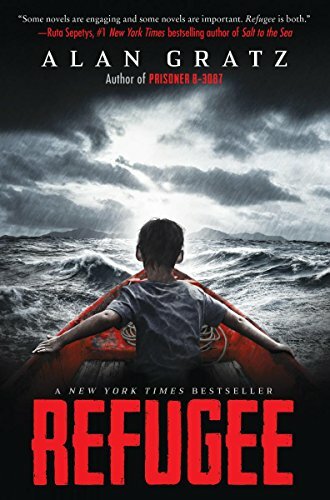 If your child is already accustomed to books and enjoys a thrilling story that pulls on the heart strings, introduce them to Refugee. You meet three characters. Josef is a Jewish boy in Nazi Germany, escaping the Holocaust with his family; Isabel is a Cuban girl in 1994, bound for America after her family flees riots and political unrest. Mahmoud is a Syrian boy in 2015 who becomes a refugee after his homeland is wartorn. Although they each come from different corners of the world, their stories are connected. It’s a beautifully woven story of both suffering and hope. It’s educational too, and will give your child a better understanding of the global political climate. In league with Watership Down and Tailchaser’s Song, this is the charming story of a clan of cats. A dark prophecy looms over their heads, bringing a mysterious danger that threatens their peace. Six cats step up and resolve to protect their forest. They’re led on a magical and exciting adventure that puts their entire home at stake. This story appeals to so many different personalities, including cat lovers, fantasy geeks, and adventure fanatics. 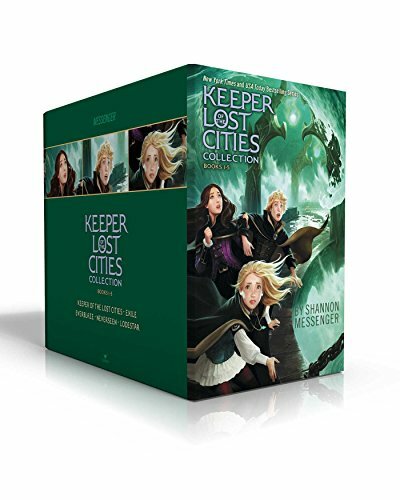 This box set is great value for money too. Is your child looking for laughs? I’ve found the book for them. Jack and his friends live in a treehouse. They’re the last remaining humans after the Monster Apocalypse, and for them, life is a video game. They battle monsters and run from zombies, all while running the world. 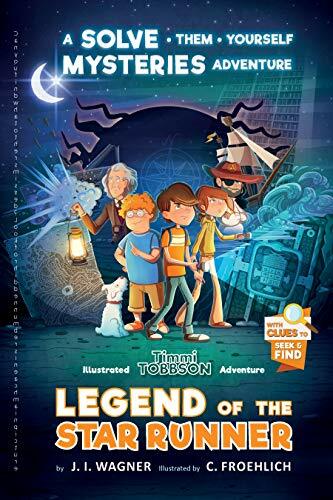 Jeff Kinney, author of the acclaimed Diary of a Wimpy Kid, praised this book series, describing it as “terrifyingly fun.” It’s a cool adventure that will give your kid lots of giggles along the way. This collection of five books is highly acclaimed and could become the next best thing. Fans of Harry Potter or superheroes are sure to enjoy it. Sophie is telepathic, and it’s up to her to save a world she never knew she was a part of. She’s led on a journey to a mystical world, where she learns her power is not the only thing that makes her different. 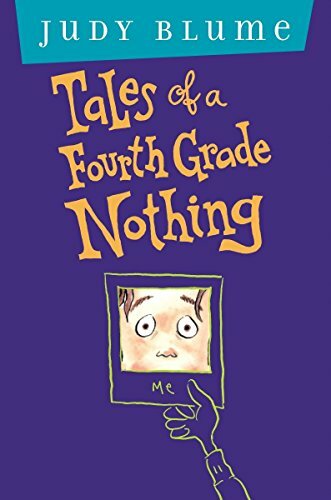 This book is relatable to anyone who has had to deal with younger siblings. Even if your darling is an only child, there’s still much to enjoy here. It’s charming, it’s funny, and it’s stood the test of time. Peter has had to struggle for his parents’ attention ever since his little brother, Fudge, arrived. He’s frustrated by how Fudge always gets away with murder, and he feels invisible most of the time. When Fudge steals his pet turtle, Peter decides he’s had enough, and comes up with a plan to turn his parent’s attention to him for a change. Do you remember Choose Your Own Adventure books? This one is similar, except it’s innovated a fresh way of storytelling. At the end of every chapter, your child will have a mystery to solve. Timmi follows clues in his family’s secret legacy to save a dear friend. Attempting to find a legendary pirate ship, he triggers an ancient and dark power. It stands in the way of his mission. The story is great, it’s beautifully illustrated, and the mysteries will leave your child feeling like a professional sleuth. How fun! 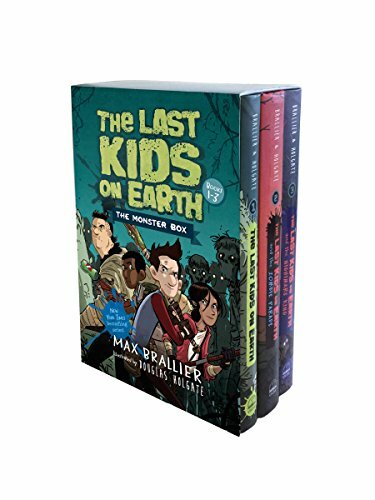 I wish I could have awarded each of these the top spot in the best books for 9-year-olds, but there can only be one. 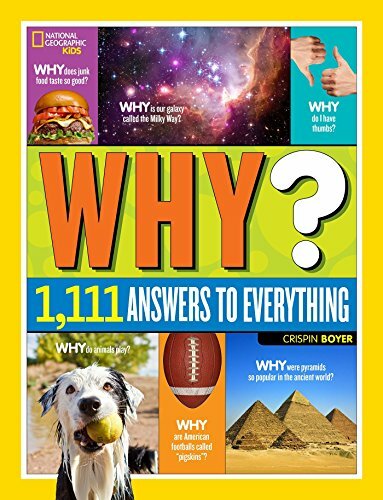 Although I give The Never Girls and The Dangerous Book top honors, my favorite is 1,111 Answers to Everything. Who doesn’t love National Geographic? It’s suitable for all kids, no matter their gender or taste. It’s educational and filled with fascinating facts that will keep the whole family entertained for years to come. Which books does your 9-year-old love? What are your recommendations? I’d love to hear from you, so leave a comment below.